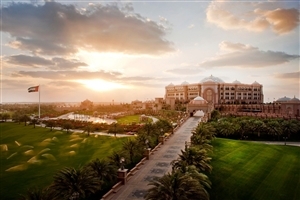 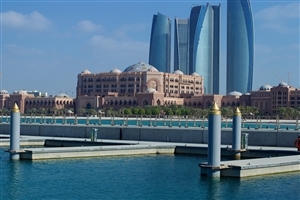 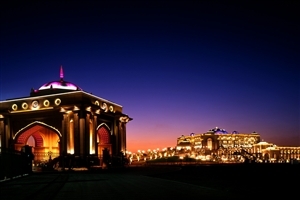 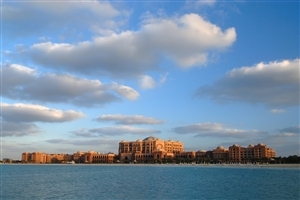 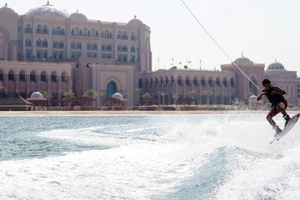 Indulge your Arabian fantasies with a magnificent stay at the Emirates Palace in Abu Dhabi, situated on a fabulous 1.3km stretch of white sandy beach overlooking the sparkling Arabian Gulf. 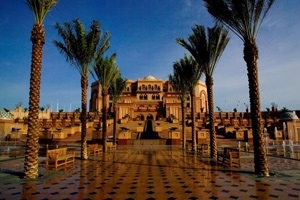 Considered one of the world’s finest hotels, Emirates Palace lavishes its guests with exceptional luxury in a magnificent Abu Dhabi setting that seamlessly blends modern excellence with traditional Arabian touches. 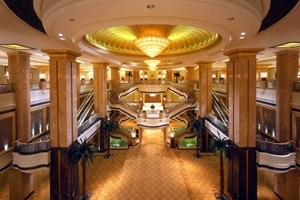 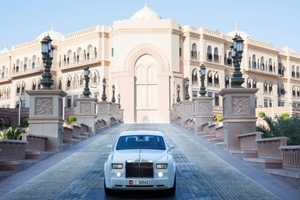 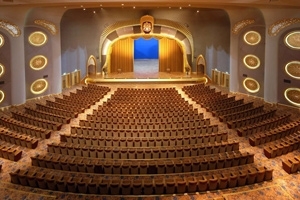 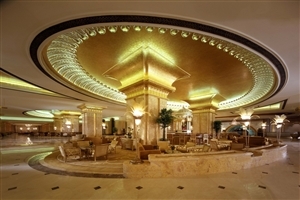 With its award-winning, Michelin-starred restaurants and superb facilities, including a luxurious Spa, sporting venues and well-being activities, Emirates Palace is the epitome of luxury in the Middle East. 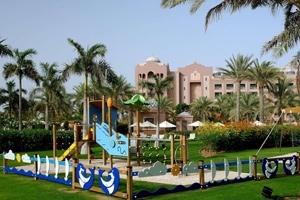 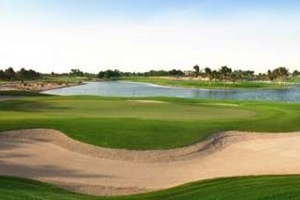 With a choice of swimming pools and a water sports centre, active guests are well catered for. 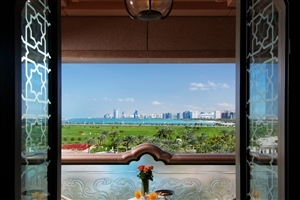 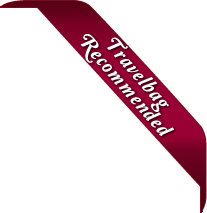 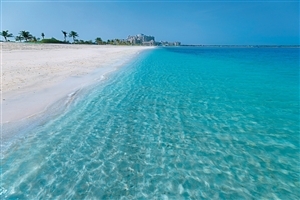 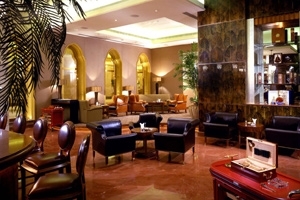 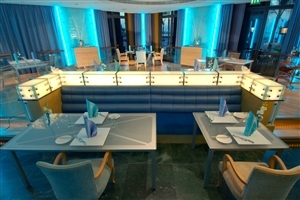 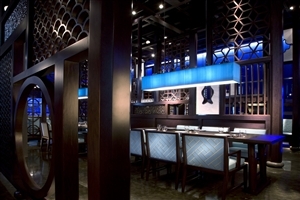 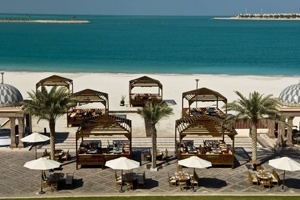 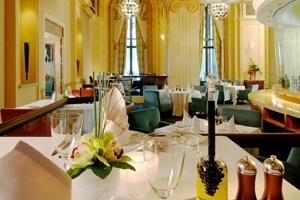 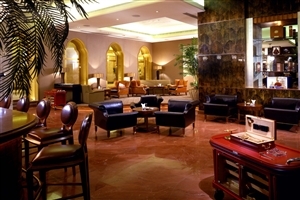 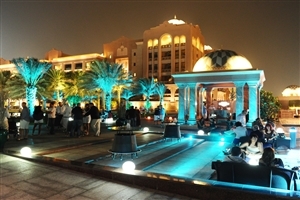 From internationally-acclaimed speciality restaurants which overlook the ocean. 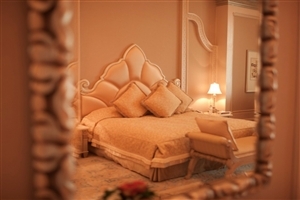 The Coral Rooms at Emirates Palace offer 55sqm of accommodation space and features stylish Arabian furnishings for a touch of elegance. 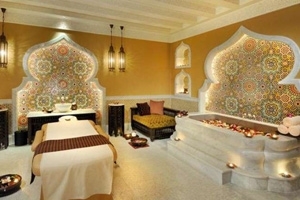 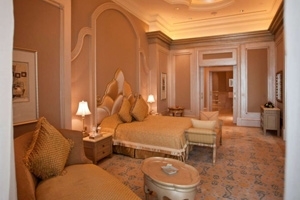 All Coral Rooms are available with a 24 hour butler service and a balcony view of the lush gardens. 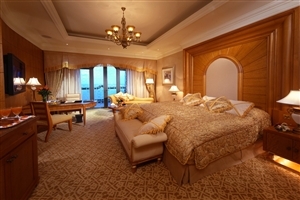 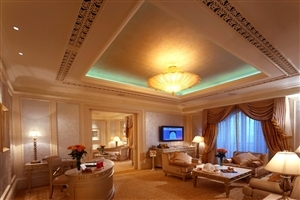 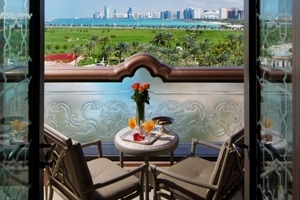 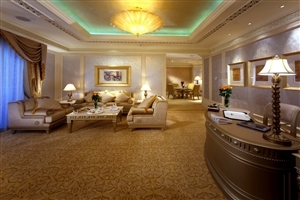 The Pearl Rooms at Emirates Palace offer 55sqm of accommodation space are distinguished by their state-of-the-art technological features and offer fabulous views of the swimming pool and towards the ivory Abu Dhabi beaches. 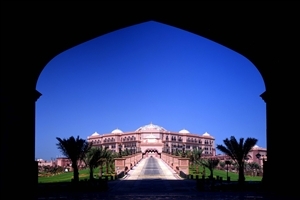 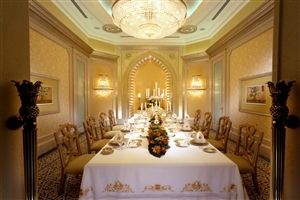 The Diamond Rooms at Emirates Palace offer 55sqm of accommodation space and feature breathtaking panoramic views of the surrounding area and the sparkling Arabian Gulf stretching across the horizon. 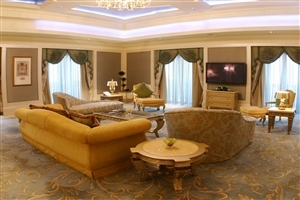 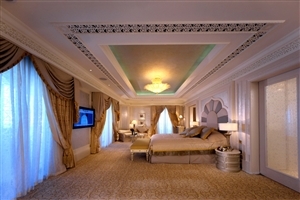 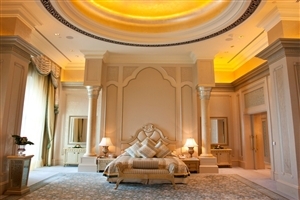 The Khaleej Suite at Emirates Palace offer 110sqm of accommodation space, including a separate lounge area and bedroom, plus fabulous views across the Arabian Gulf from the private balcony. 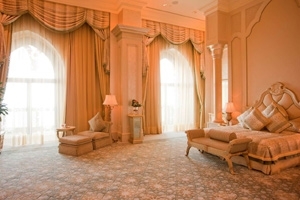 Upgraded amenities include a powder room and a lavish Jacuzzi. 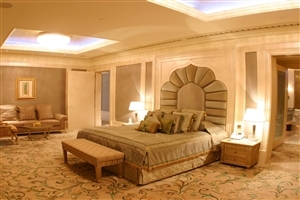 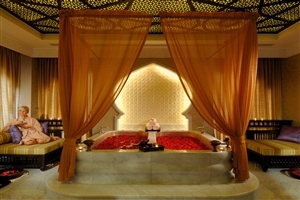 The Khaleej Deluxe Suite at Emirates Palace offers 165sqm of accommodation space and features spectacular 180-degree panoramic views of the Arabian Gulf and the surrounding area, while upgraded amenities include a lavish Jacuzzi.